Planning to beat the holiday rush and get your Christmas shopping done early? 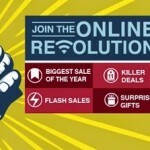 Well, get ready for some serious shopping as the Philippines’ one-stop selling destination, Lazada, launched the Lazada Online Revolution Sale, slated to be the biggest online Christmas sale of the year. The month-long sale starts on 11 November and will run until 12 December, 2015. Why 11/11 you ask? 11 November is well known in China as the “Singles’ Day,” which the big retailers turned into the biggest online shopping event, selling about $9Billion worth of products last year. 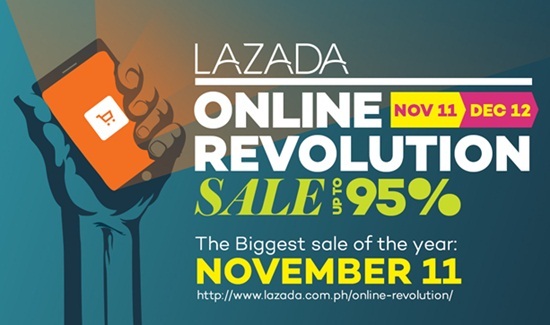 In the Philippines, Lazada introduced the 11/11 Online Revolution Sale in 2013 and has since then set online sales record every year. Get ready to shop till you drop as big brands and merchants joined the sale and bring in more than 200,000 marked-down deals. Get more value for your hard-earned money by purchasing electronic, home, and fashion items and toys at 95% off! There will also be lots of exclusive items on flash sales and Php99 peso deals, and can you believe, you can even purchase special items for only Php11.00 each? Starting today, 11 November, you can buy bestsellers such Sandisk 8GB flash drives, 5600mAHPowerbank, and 4-layer shoe racks for only Php11.00! These can be perfect Christmas gifts for your family, friends, and colleagues. From here on until 12 December, the Php11.00 deals shall be announced at 11.11am everyday through one of Lazada’s social media pages, which you might want to follow now to get first dibs on huge discounts and amazing promo. Look for lazadaph on Facebook, Twitter, and Instagram. For those who are always on the go, download the Lazada mobile applications from Android, iPhone and iPad so you can shop anytime, anywhere! Lazada has indeed revolutionized our Christmas shopping. I have personally tried shopping with them and I did not only get quality items, but fast and smooth transactions, not to mention the convenience of paying through Paypal, plus quick and prompt delivery. Now you can tick items off your Christmas list in the confines of your home, and without enduring horrendous traffic or excruciatingly long queues at the shopping malls. You can even choose from a wide selection of products and items, allowing you the convenience to shop for every special person in your life. As for me, I am eyeing to get new books and toys for the little man and my niece and nephew, as well as adult coloring books for me and my sister! For more details, visit the Lazada website, http://www.lazada.com.ph, and for fresh updates on Lazada’s promos and activities, you might also want to follow them on Facebook, https://www.facebook.com/LazadaPhilippines. 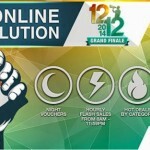 Ready, Get Set, Shop At Lazada’s 12.12 Online Revolution!